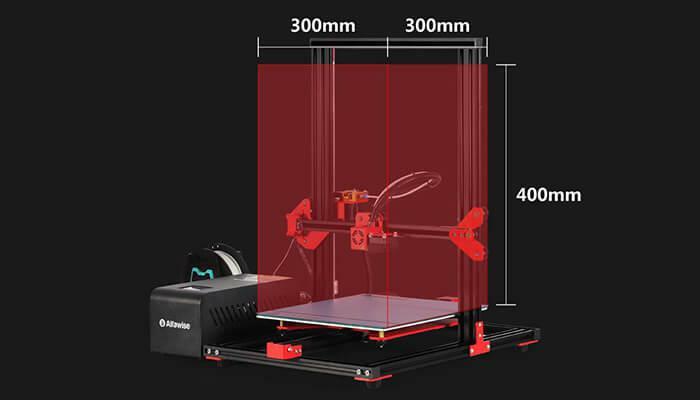 After the Alfawise U10 3D printer, Alfawise company launched a new large-scale 2.8-inch touch screen DIY 3D printer – Alfawise U20 3D printer. 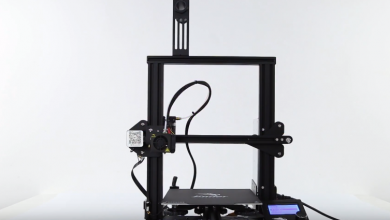 Is the Alfawise U20 3D printer better than the impressive and affordable Alfawise U10? This review post will tell you. Desktop printers have been gaining in popularity ever the since the release of the famous Creality CR-10, one of the top bestselling desktop printers. A wide range of brands has since taken to creating models that are similar in design and functionality, but more affordable in price. One of these models is the Alfawise U10 3D printer — a very budget-friendly model with enormous build volume and a compact design. Now, the company is out with their latest creation — the Alfawise U20. What does the new printer bring to the table? Let’s find out. First, let’s take a quick look at the “dry” printer specs — all the while, keep in mind that the Alfawise U20 is coming in the budget printer category. First, the Alfawise U20, just like its predecessor, is a large-scale printer — but not quite as large as its predecessor. The Alfawise U10 came with a gigantic 400 x 400 x 500mm build volume, but the new model features a more modest 300 x 300 x 400mm engraving area, which makes it more fitting for the desktop 3D printer category. The printer comes with a 0.4mm diameter nozzle and uses a Bowden-type extruder enabling higher printing speeds (20 – 150mm/s). 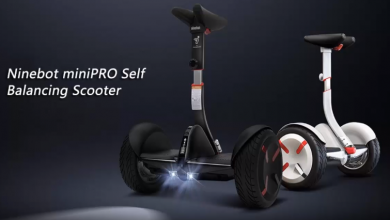 The frame is made of super durable aluminum alloy — steady, stable and wear-resistant. There is a high-power heating bed for an efficient printing session and a 2.8-inch full-color touch screen for quick and easy navigation. 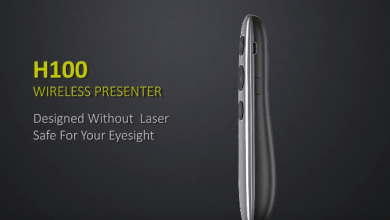 The Alfawise U20 supports offline SD card printing and is equipped with a USB port for connecting to other gadgets: laptops, smartphones, tablets, etc. The printer supports a standard set of filaments: you can use ABS, PLA, TPU, and carbon fiber materials for your creative projects. Just like the previous model, the Alfawise U20 comes with two main components: the printer frame and the separate control box. 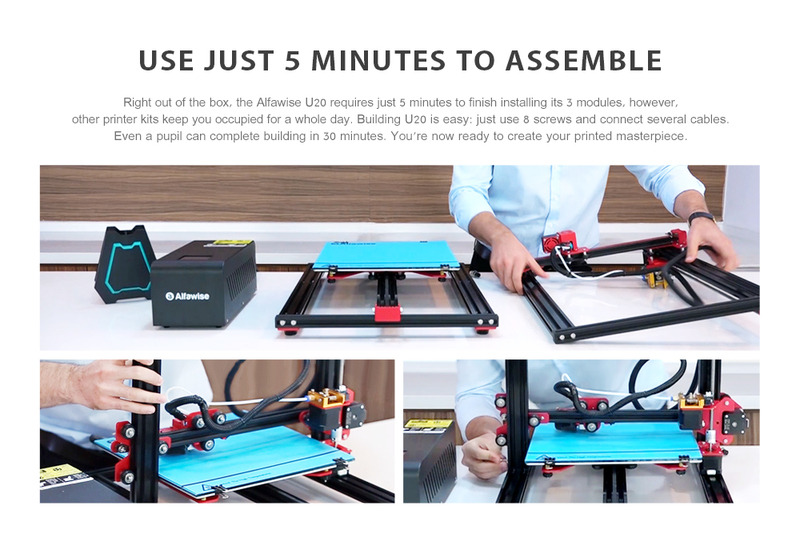 The printer comes semi-assembled and this means that you will not need more than five minutes to put the whole construction together. There is a very detailed manual coming together with the printer with clear step-by-step instructions. If you prefer to have some interactive guidance during the assembly process, consider watching one of the many U10 assembly tutorials available online — the processes do not differ significantly for the two models. 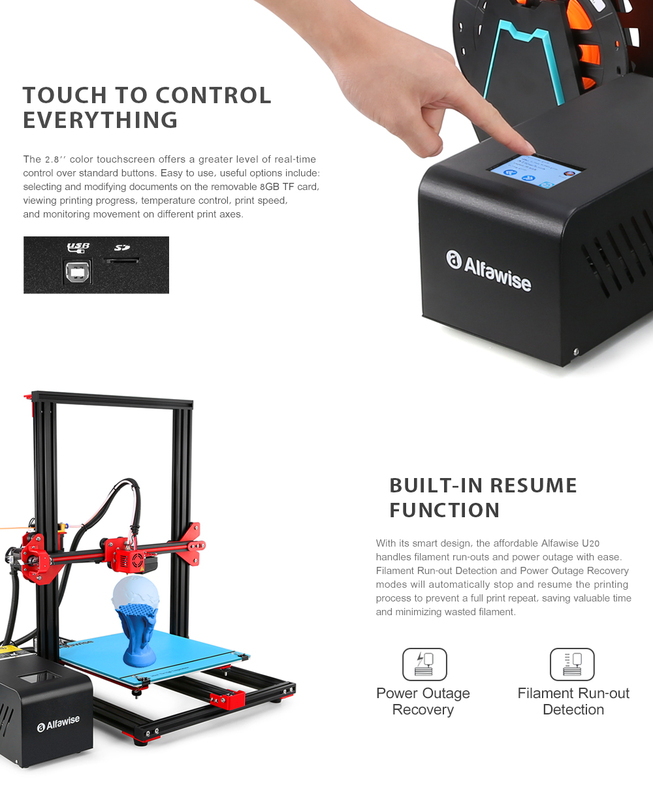 What makes the Alfawise U20 stand out among other desktop 3D printers in the same price category are a few extra features that can prove to be very helpful in your printing process. Filament Run-Out Protection: if you ever run out of filament in the middle of your printing project, the filament run-out protection feature will make sure your work does not get messed up. The Alfawise U20 comes equipped with a sensor, which will timely detect that you are running out of filament and pause the printing process. Resume Printing Function: this feature will save the day in case of a power failure: your printer’s electrical connection is suddenly interrupted, there will be no damage to the printing process. The resume printing function is typically found in the more expensive models (like the famous Original Prusa i3 MK3) — and it is impressive to see it on a budget 3D printer like the Alfawise 3D. The Alfawise U20 Large Scale 2.8 inch Touch Screen DIY 3D Printer is currently available on Gearbest for $289.99 and comes with free filament. Depending on your location and preferred shipping option, this product may be brought to you for FREE. Click the link below to get this exceptional product.